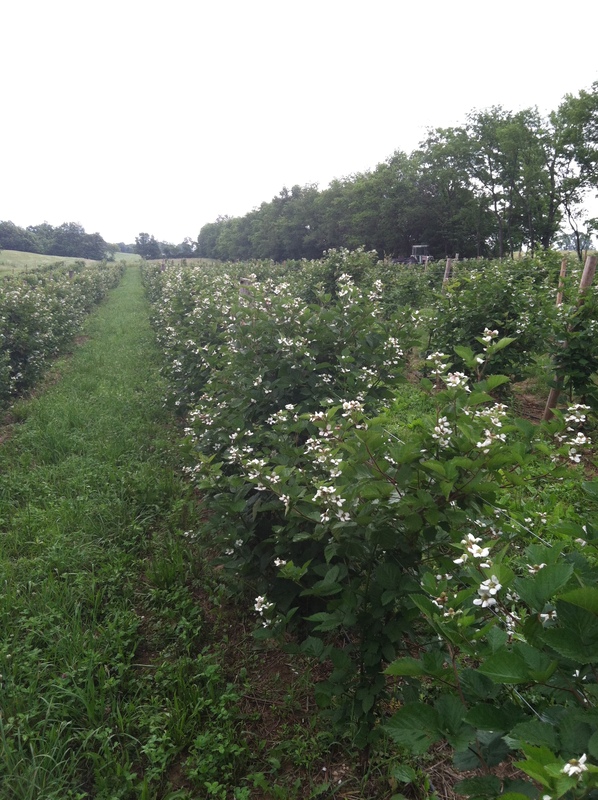 We currently have over 1500 thornless blackberry plants: half Apache and half Triple Crown. They are trellised and irrigated. Apache Blackberry: (Rubus x ‘Apache’) this thornless, semi- erect variety was developed by the Horticulture Department of the University of Arkansas 1998. Individual berry size is up to 10 grams with an average of soluble solids (percent sugar) of 10.7 %. This variety has vigorous plants and ripens relatively early in the season, the end of June, beginning of July. We planted them 4 ft. apart in rows which are 10 ft. apart (this results in 1089 plants per acre). Triple Crown Blackberry: (Rubus ‘Triple Crown’) another thornless blackberry, but this variety is a trailing plant. 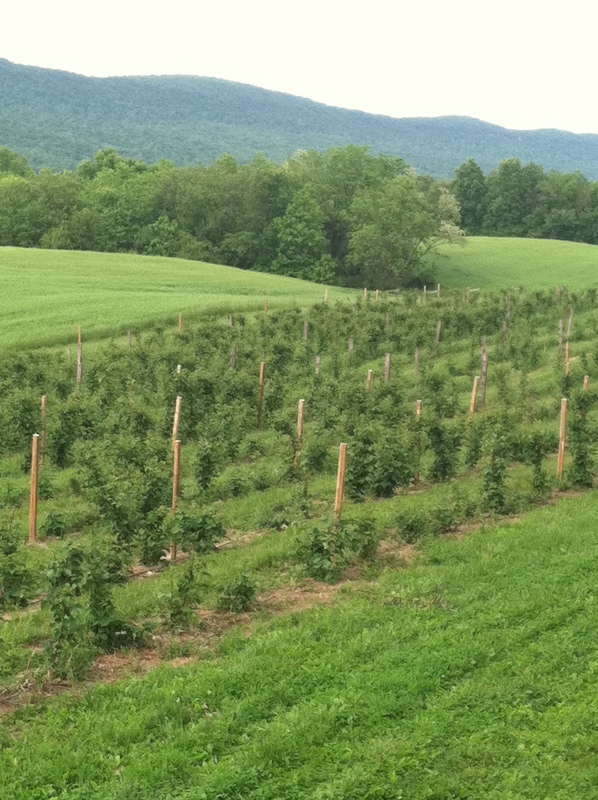 Triple Crown was developed by the Agricultural Research Service’s Fruit Laboratory in Bellsville, MD. Triple Crown ripens from about July 10 to about August 10. We planted them at the same distance as the Apache – except for a smaller, 200 berry patch, where we planted them 6 ft apart as these plants are rather vigorous. Some trials have shown production of 30 lbs of berries per plant for this variety!